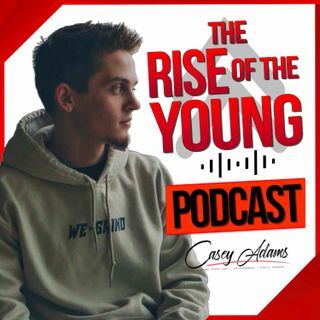 Welcome to The Rise of The Young Podcast hosted by 17 year old entrepreneur, author, public speaker, and influencer Casey Adams. On this podcast you’ll find interviews / stories with some of the most innovative entrepreneurs, authors, influencers, and CEO’s of this era. Casey will be bringing on guests who cover social media marketing, branding, real estate, crypto Currency, scaling a company, and much more regarding entrepreneurship. The Rise of The Young Podcast is showcasing some of ... See More the most creative minds of this era, and will be providing you with actionable steps to help transform your life & business.